I walked into my classroom this morning a bit groggy and bleary-eyed from a terrific weekend – a weekend not spent grading or lesson planning, but instead, spent with my daughter on a surprise early Mother’s Day weekend visit. There’s nothing easy about teaching first period English in junior high school – the only thing just a touch harder is teaching LAST period English – so I typically start the class with a bit of relationship building, often my best bit of comedy for the day. “Wait – what are you all doing here today? 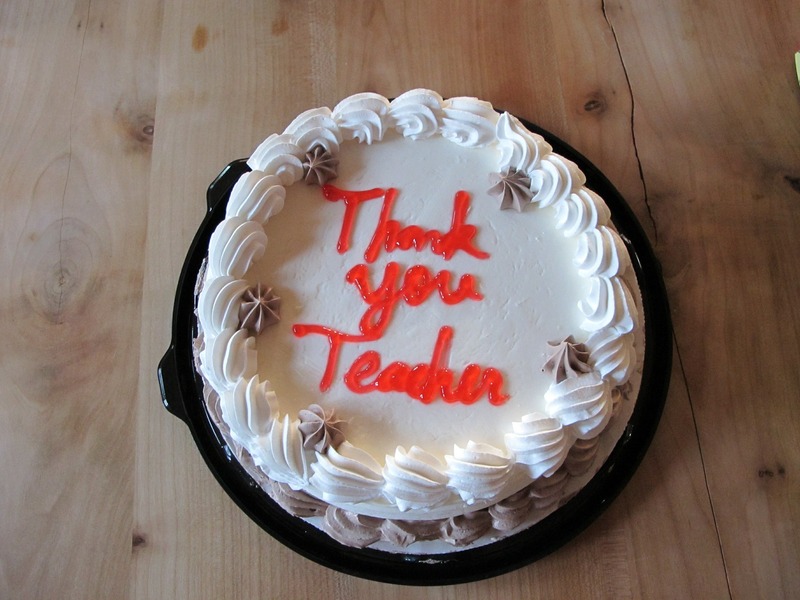 It’s Monday of Teacher Appreciation Week – didn’t anyone tell you?” I quipped. Moments of sheer panic washed over their face as they momentarily thought maybe they’d missed a sleep-in day. Eyes rolled at this point. “And I need to thank you all, for being on time this Monday morning – every single one of you,” I continued as they giggled and called out the names of the habitual sleepy heads. Another not-so-easy feat for junior high school students who would rather sleep than do almost anything else. More eye rolling, and a few whispers of “Wait – it’s Teacher Appreciation Week? I didn’t get you anything!” later, we were rolling along with our book v. movie analysis graphic organizers. The day just kind of chugged along today, and aside from the coffee and baked goodies in the staff room, it was a pretty typical Monday in middle school. I kept thinking back to first period, and how much I love those moments away from the curriculum when I can really get to know the kids; as any middle school teacher will tell you, it’s all about having the kids connect with you before they connect with the content. I thought about what really keeps me going, year after year, when education is becoming more complicated and complex and when new teachers are shying away from the profession, and veterans are wondering how much longer they can keep walking through their classroom door with a smile on their face. 1. Teachers want to hear how their teaching connects with their students’ lives. Often, I’ll tell my students that when their parent asks them what they ‘did’ at school today, instead of saying ‘nothing’, they can explain they learned what dramatic irony is, or quiz their parents on the definition of pusillanimous, or ask them how the Reconstruction period connects with #blacklivesmatter in 2015. My students usually groan, roll their eyes a bit and go on with their work. And honestly, I’m often left wondering how much they actually bring home to you. Did they tell you about our ‘essential question’ today, or that they learned the difference between dramatic, verbal and situational irony? Could they share the staggering statistics they read about 21st-century slavery, and that their shirt was made in a country that utilizes child-labor? Do they have their ‘light bulb’ moments at the dinner table, or driving home from soccer practice? For Teacher Appreciation Week, I’d love to know what they tell you about our class and their learning – it would really make me smile. 2. Teachers want to have former students contact them. I could hardly hold back the tears. Six years later, for him to come back to tell me that, made my heart swell. It made all the hassle of field trip forms, parent drivers and permission slips worthwhile. For teachers, seeing our students growing up and turning into happy humans is all the appreciation we need. 3. Teachers want more time. I have multiple student interns working in my classroom – not only is it good for young college students to see the power of teaching, but it’s equally beneficial for my students to have more ‘helpers’ and adults to see as role models. My interns help me with the most sought-after teacher gift of all – the gift of time. I don’t know an educator (especially my English teacher colleagues) who wouldn’t celebrate with the gift of more minutes to create curriculum, contact parents, grade papers, learn how to use new technology…the list is endless. Our teaching days are like the crack of a starter’s pistol at 8:00 a.m., and when the final bell rings 7 hours later, we’re lucky to have a moment to sit down before attending meetings, making copies, cleaning the room and checking email. And that’s all before we go home with our bulging bags of papers to grade – the other part of our job. For Teacher Appreciation Week, I’d love to have just a bit more time to make your child’s learning experience that much more exciting and relevant. 4. Teachers want to know they matter. Above all, for Teacher Appreciation Week, I’d love to know that I’m appreciated. For some reason, teachers seem to be taking a huge hit in the media over the last few years. Most of the teachers I know didn’t start teaching because they wanted to make life harder for their students and their families. They didn’t start teaching because they felt it was their responsibility to become substitute parents, or to give failing grades or to do anything except make a difference in the life of a child. Teachers are service-oriented professionals who, for the most part, want to earn enough money to support their family, live in their community, send their own children to college and at the end of the day, know that their tired brains and stacks of papers to grade are worth it because they matter in the life of a child. 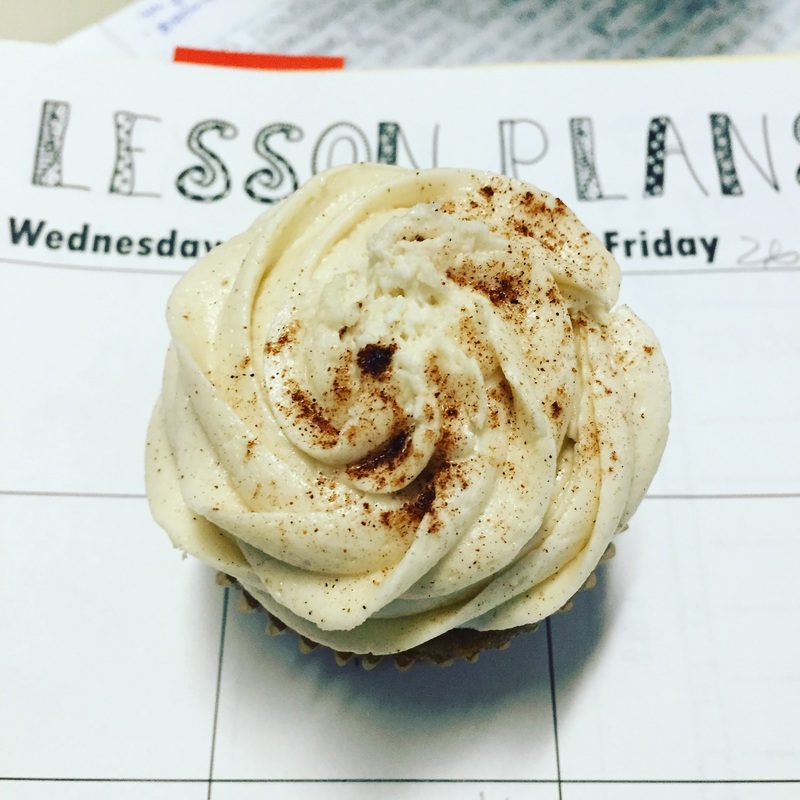 Parents, put down the Starbuck’s card and instead, please try one of these ideas for Teacher Appreciation Week. I guarantee they’ll be the best present that teacher ever received. Happy Teacher’s Appreciation Week)))) !!!!! Oh yes, Kim. One future after another- that’s our business! Why does the gender of the president matter? Exactly. Too bad you don’t identify yourself- it’s always nice to have a real conversation. I appreciate your honest perspective on what kind of gestures teachers love and how a kind word by a former student can move them to tears. It seems you have articulated my sentiments! Thanks. Bale pop, thank you so very much for the kind comments. I know I probably speak for so many teachers who just love what they do. You nailed it, Jennifer. I especially like it when students come back to visit. It’s even harder for elementary teachers to identify their former students! (Facial hair should not be allowed on fifth graders, right?) And yes, put those Starbucks cards down. We have plenty. And reusable shopping bags. Got those covered too. Haha. Oh thanks, Kate. So nice of you to comment- and since we share so many students, maybe we should send them back and forth for maximum happiness!